Short 36 x 17 Inch - SHIPS FREE! Regular 47 x 17 Inch - SHIPS FREE! Full 54 x 17 Inch - SHIPS FREE! 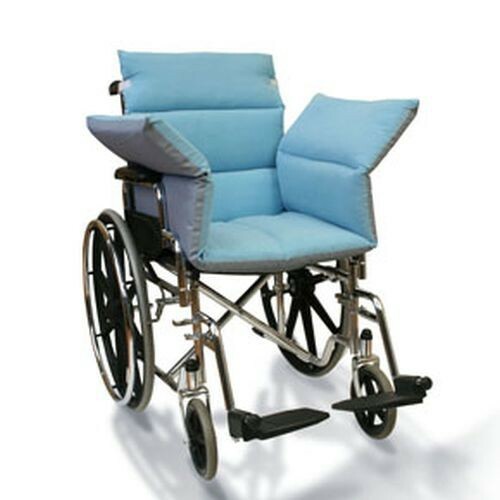 NYOrtho Wheelchair Comfort Seats help protect sensitive skin and provide comfortable seating. Comfort seats are secured in place with adjustable velcro straps and designed for use with positioning belts and many other accessories. Available in three sizes, all comfort seats are machine washable and offer many different fabric options to suit your needs. RECOMMENDED USE: Patients requiring long-term seating comfort and/or protection of sensitive skin. Rotational Cover: SURE-CHEK thermoplastic fabric composites are strong, durable, antimicrobial, antistatic, flame resistant, stain, odor, and fluid-proof. Super soft PEACHSKIN fabric is strong, durable, antimicrobial, and fluid resistant - improves moisture evaporation.